INSPIRED by the Filipino’s remarkably sweet and thoughtful nature, Max’s Corner Bakery ingeniously launched its most romantic line of desserts, a wide variety of indulgent and heart-warming delights for the season of hearts. To make the celebration even more memorable, Max’s Restaurant is inviting couples and family members to spend sweet, unforgettable moments with their loved ones on Heart’s Day. Sweet conversations can be best enjoyed while sharing their favorite meals, like Max’s sarap-to-the-bones Fried Chicken, and classic Filipino dishes Sinigang, Crispy Pata and Kare-Kare. As a heart-warming gift from Max’s, diners will receive a box of melt-in-your-mouth pastry bites by Max’s Corner Bakery for a minimum spend of PhP 1,500 from February 10 to 14. Taking the excitement to the hilt, Max’s Corner Bakery’s best-selling delights have also taken on a new form. 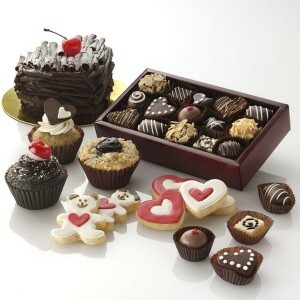 All of its scrumptious cakes will be heart-shaped in time for the season! Customers can surprise their loved ones with Max’s Corner Bakery’s Heart-Shaped Cakes as a sweet token of their affection. Other sweet Valentine gift suggestions are available at selected Max’s Restaurants nationwide from February 1 – 29. Time to troop to Max’s for a memorable Valentine celebration! For news that will melt your heart, log on to www.maxschicken.com or visit www.facebook.com/maxsrestaurant to be a Max’s Restaurant Facebook fan. Click on www.facebook.com/maxscornerbakery to sign up for Max’s Corner Bakery’s fan page. This entry was posted in Cakes and pastry and tagged max's, max's fried chicken, Max’s Corner Bakery’s Heart-Shaped Cakes, Sweet and Heart-warming Treats from Max’s on February 14, 2012 by Yami.